Note: Faxing is a feature that is provided by Updox, a third party vendor. Please contact the MacPractice Sales Department or your Sales Representative if you are interested in purchasing Faxing. MacPractice can only provide minimal support for Updox features. In this guide we will try to note issues that would require Updox's assistance. You can reach Updox Support via e-mail at support@updox.com. You can also call their Support line at (614) 798-8170. This article is intended to provide a basic guide of the Faxing ability as it relates to MacPractice. We will cover how to set up Faxing, and how to use the basic features of Faxing. This section covers fetching the license after Faxing is active, adding Faxing to the toolbar, and other configuration steps. When you first purchase Faxing, you will need to re-fetch your license to enable the new feature. First, go into MacPractice Preferences > Abilities and click the Fetch License button. When prompted, log out and log back in. Next, right click on the Toolbar and select Customize Toolbar from the menu that appears. Drag the Faxing icon onto the Toolbar. The Faxing Icon on the toolbar will display the number of faxes in the inbox, regardless of whether they are read or unread. MacPractice and Updox strongly recommend that you archive any read messages in order to get the most use out of the notification. Navigate to the MacPractice Menu > Preferences, select Faxing. Enter the Updox Username, Updox Password, and Updox Integration Key. These will be provided by Updox. Log out of MacPractice and then log back in for these changes to take effect. Click on the Faxing Icon. 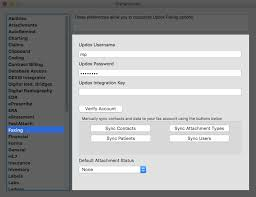 This will take you to the Updox Web Interface to log in and access the Faxing feature. Users may be prompted to enter their Username and Password on the first log in. You will now be able to access Faxing. The Updox Printer is a printer device that you can set up that will allow you to "Print" any item to be sent directly to the Faxing Ability's inbox. This can be especially useful to fax items that you have not scanned in, as you can simply "print" the item to the Updox Printer, and then forwarded the printed item from the Faxing Ability to the intended recipient. Updox Support can assist you with setting up the Updox Printer. Please refer to Updox Support's documentation on Creating an Updox Printer. When you click on the Menu button, you are presented with a sidebar menu with three tabs, Home, Tools, and Admin. The Admin tab is only visible if you are currently logged into a MacPractice user with admin privileges. We'll give a brief overview of everything in here. For more detail, please refer to Updox's Support and Documentation. At the bottom, the "Refer & Share", "Profile", and "Sign Out" buttons are always available regardless of the tab selected. Refer and Share: Allows you to refer another practice to Updox's services. Profile: Contains fields for Salutation, First/Middle/Last Name, Address, City/State/Zip, and a message signature. If the user is a provider who is on the Provider Directory, you can also customize the Classification of the Provider. Sign Out: Signs you out of the current Updox account. The Home Tab contains two options. Inbox: Displays the Inbox, which is thoroughly discussed in the Navigating in Faxing section. This is the default view when you first enter the Faxing ability. Appointment Calendar: This brings up an appointment planner view, which allows you to do some rudimentary scheduling. The MacPractice schedule has many more practice-focused features, but this can grant you some additional flexibility should you need an additional planner. The Tools Tab contains several options to review history, change your password, and other useful Tools. Auto-Zoom ON/OFF: This option, if enabled, will automatically zoom in on an image in a message when you mouse over that image. Change Password: Allows you to change your Updox password. This has no impact on MacPractice's users and passwords. Patient Broadcast: This Updox purchased feature allows you to bulk-send communication to your contacts in the Updox Address Book. For more information on this feature, please contact Updox Support. Usage Information: This option displays the Practice's Fax Number, E-mail, Direct Messaging address, as well as the current Updox user's E-mail and Direct Messaging address. It also displays billing cycle information, and statistics for your usage of Updox's features. Analytics: Gives you some basic information on top recipients or senders of faxes in the last 30 days. My Signature: This option allows you to upload an image file with a signature. This signature can then be applied when annotating an image. Direct Trust Activation: This option begins the validation process, sometimes referred to as Vetting for Direct Messaging users. In order to send Direct messages, you must follow this process. 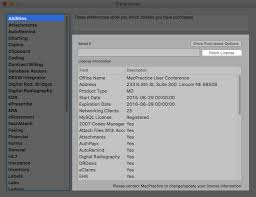 MacPractice will prompt any unvetted user reminding them to verify their identity when logging in. User and Patient Audit History: This will pull up a report that pulls user interactions, such as setting users as admin, changing passwords, etc. Useful for when you're trying to determine if someone made an administrative change. The Admin Tab contains several options to configure Updox. Users: Contains several options to edit user details. First, you select a user. The options presented are split into three tabs, User Information, Settings, and Notifications. User Information covers the name, username, Updox E-mail, Direct Address (if applicable), and Provider Directory information. You can also change the user's password from here. Settings contains other information, such as the Time Zone, Number of Items shown on a page, and other customization options. The most important is the "EHR User ID" field, which allows you to tie this Updox user to a MacPractice user. Notifications allows you to set up a notification that will be delivered to your e-mail address whenever your Updox user receives a Fax or a Secure Direct Message. Queues: This option allows you to add and configure Work Queues. By configuring Queues appropriately, you can set it up so that a virtual printer directs to a specific queue. For more information on this feature, please refer to Updox Support and Documentation. Practice Information: Contains demographic information for the Practice, such as Name, Address, City/State/Zip, Practice E-mail, and phone numbers. This section will also list the Updox Integration Key, as well as list all vetted users. Practice Settings: Contains more configuration options for your practice, such as the timezone, setting up forwarding options for any incoming faxes to also be deposited in an e-mail address, and more. This option also includes an idle time customization option if you are frustrated with the automatic logout time being too short. Tags: Allows you to add, remove, and rename the colored tags. Fax Settings: Allows you to configure options for the current Fax Number. If you have multiple fax numbers purchased through Updox, you can configure each number to deposit to a specific queue or automatically be tagged with a specific tag. For more information on these features, please contact Updox Support. Fax Coversheets: Allows you to customize the appearance of the cover sheet of all your faxes. Templates: Allows you to create and edit Templates that can be used to quickly compose a message. Printer User Mapping: This option allows you to tie a printer user to an Updox User for the sake of routing faxed or printed messages to go into that user's queue. Billing: Contains Updox billing information. The Blocklist: Allows you to block certain numbers so you don't receive any faxes from that number. System Folder Management: Allows you to configure what messages display in the System folder in the Inbox. When you first log into Faxing, you will be presented with the Inbox, which will list all the faxes that you have received. The inbox will also display failed faxes typically in messages although they can be displayed as in the above screenshot. The inbox will also contain any items that have been printed to the Updox Printer. This can be useful if you have a particular document you would like to fax, you can first print it like a traditional document, but instead of using your ordinary printer, you would select Updox, and any item "printed" this way would appear in the Faxing Inbox. Note: You can access Updox's documentation by clicking the question mark icon in the upper right hand side of the Faxing window. On the left side of the Faxing window, you will see categories for Inbox, Sent, Archive, Spam, Trash, and System. These All sent faxes are deposited into the Sent category, any archived messages will be marked in Archive, and so on. System contains any system messages. To compose a new Fax, simply click the Compose button. This will open the Compose window. You can enter a Patient Name, a contact name from the Updox address book, an e-mail address or a fax number into the field. If your patients are properly synced with Updox, they will all populate as needed when you type in their name in the search field. For each type of contact, the send screen will look slightly different. Patients: When you select a patient, you'll see a checkbox for "Send to EHR". This indicates that when a fax is sent to this patient, it will be sent to the MacPractice Attachments Ability, where the "faxed" image will be associated with that patient. You can set an Attachment Type upon sending, write in a subject, a date of item, a Note for the item. At the bottom bar, you can drag in Attachments to send along your image. When done, click the Send button. At the top pane below the toolbar, you will see several interface options used in creating, sorting and organizing faxes. Menu Button: Contains administrative and customization tools, which we cover in Menu Options. Checkbox Button: Allows you to select all items in a category. > Button: Expands details on all items in a category. Compose Button: This button will create a new message. You can send a message to a patient, a contact within the address book, an e-mail, or a fax number. When you send an item to a patient, there will be an checkbox option labeled "Send to EHR". When checked, this simply means that the sent fax image will automatically be deposited in the Images/Attachments ability and tied to that patient. Address Book: Contains all Patients, Contacts, Users, and Groups. You can also access the Provider Directory from the Address Book. Refresh Button: This button will refresh your inboxes and check for new messages. If you haven't received something and you know it's coming soon, try refreshing. Types, Tags and Spaces: These drop down menus will allow you to filter messages by those criteria. Queues: If a user has been added to a Queue in the Admin Tab of the Menu, there will be a purple drop down labeled "Queues". This drop down allows you to filter out items in a specific Queue. Sort: This drop down gives you some sorting options for messages. If you select a message via the checkboxes, or use the Checkbox button to select all messages, a pane will drop down that will present more organizational options. You can mark messages as read or unread, download the messages as a pdf, move messages to be archived or to move them back to the inbox, delete messages, and add a colored tag to a message for organizational purposes. By expanding a message, you are presented with a breakdown of each image in the message, and another set of options to help you manage your messages. You can also click on any image in a message to bring up a window with the image. Send Item button: Forwards messages to another recipient, patient, e-mail, phone number, etc. You can also send items to a specific queue. Comment button: Adds a comment to a message. Archive button: Archives the message. Options button: Present more options, such as viewing the audit trail of the message, printing, downloading as a pdf, marking the message as read or unread, routing the item to another Updox user, or deleting the item. Actions button: This button contains rotation options. You can select images in a message by checking the checkbox on the image, and then use one of the Actions options to rotate images clockwise or counter-clockwise by 90 degrees, or flip all images. Clicking on an image in messages will bring up the Annotation Window. This will allow you to rotate and flip the image, as well as mark it up for your purposes. At the top of the Annotation Window, you have the buttons to rotate left and right, and flip the image. You can also print the image from here, and save any changes in the upper right. The left pane displays options to annotate an image. You can move this pane by clicking any blank space on the pane and dragging it to wherever you would like. By mousing over the buttons on the left pane, you can see a tooltip that describes each option in turn. We'll go through each option from top to bottom. Selector (Hand Icon): This option allows you to select, move, and resize any items like text input. By using the Selector to click on an item, you can delete an item by pressing the Delete key on your keyboard. Zoom: Pops out a zoom slider to zoom in or out. Text ("A" Icon): Pops out a font selector drop down menu. When you click on the image with this selected, this will create a text field you can enter text into that will display over the image. Bold ("B" Icon): This option allows you to bold selected text. Italic ("I" Icon): This option allows you to italicize selected text. Set Annotation Color (Dot Icon): This option allows you to set an annotation color. Freehand Draw (Pencil Icon): Allows you to mark up the image with the set annotation color in a freehand style. Simply select this option, then use the mouse to draw whatever annotation you desire. Undo: Reverts the last immediate change. 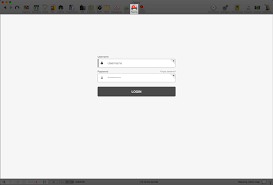 Redact (Eraser Icon): This option will draw an opaque white space over the selected area. This is useful if you want to blank out names or PHI before sending. Highlight: This option allows you to draw a transparent yellow space over the selected area, useful for drawing attention to specific text or areas. Rectangle: This option draws a rectangle around the selected area. Signature: The Signature option will place a signature that was previously uploaded from the Menu onto the image. This is useful to quickly apply a signature to a letter before faxing it over. Checkbox: This option allows you to create a checkmark on the form. Despite what the name says, it will not create a checkbox. Arrow: This option will create a pointing arrow that you can shape and turn to point to anything you would like on the image. Line: This option allows you to draw a line on the image.